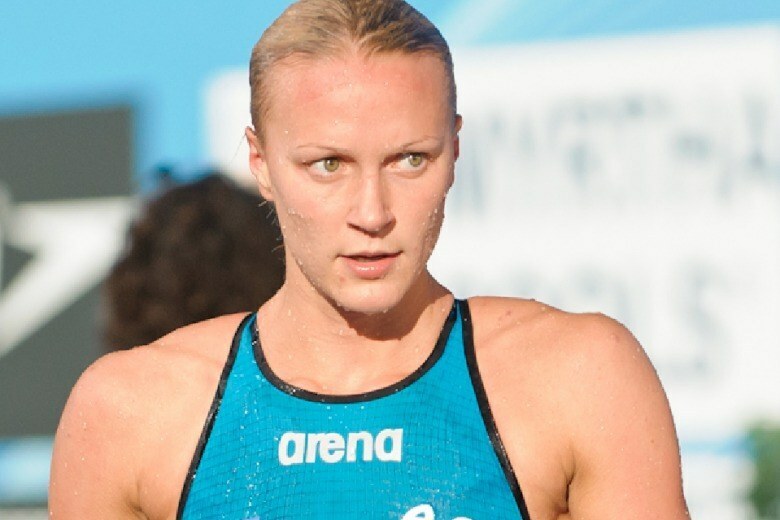 Swedish butterflyer Sarah Sjostrom put up the second-best time in world history in the 100 fly to win the Sette Colli Trophy in Rome today, just missing the world record by .06 seconds. 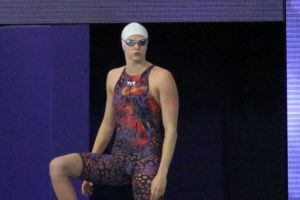 Sjostrom was 56.04, breaking her previous lifetime-best of 56.06, which was set back in the super-suit era of 2009 and was at that point the world record by about half a second. That swim puts the 21-year-old on the cusp of becoming the second woman ever under 56 seconds in the event. So far, the only female swimmer to crack the barrier has been American Olympic champ Dana Vollmer, who broke Sjostrom’s world record at the London Olympics in 2012. The 56.04 earns Sjostrom the European record as well as the Sette Colli meet record. She already owned both marks. Interestingly enough, the last time Sjostrom set the European record, it was in Rome as well, at the 2009 World Championships. This swim is significantly more impressive than that one, though, even though the times are separated by just two one-hundredths of a second. That’s because the 2009 World Champs were the last major meet to allow the rubberized, full-body racing suits that led to the explosion of world records in the late-2000s. For Sjostrom to be 56.04 in a textile suit is an extraordinary achievement. Sjostrom went out right on Vollmer’s world record pace, splitting 26.41 at the 50 turn. That’s just .02 off of Vollmer’s split from London. Sjostrom lost .04 in the back half, splitting 29.63. 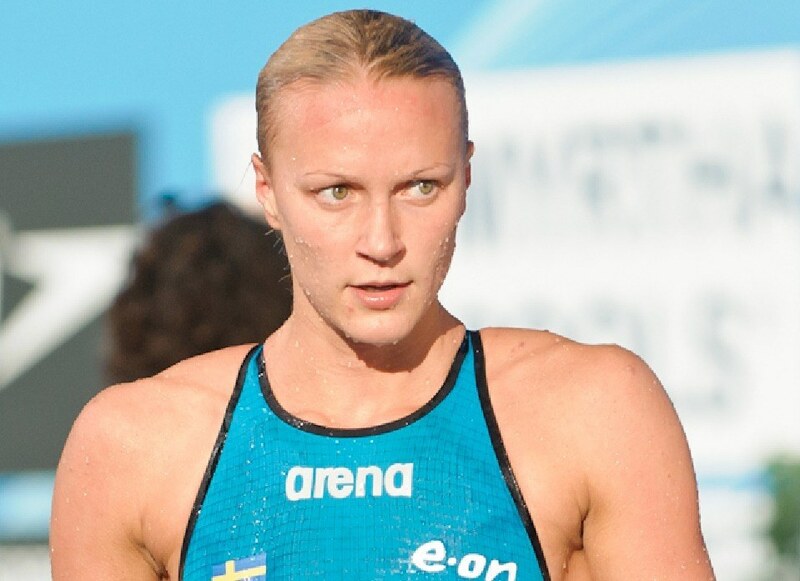 At this point, though, it wouldn’t appear that Sjostrom is full rested – she’s likely saving that for the World Championships in Kazan later this summer. That means if Sjostrom can find just a bit more speed in either of those two splits, she could be the new world record-holder by summer’s end. Last summer, Sjostrom smashed the world record in the 50 fly by a huge margin, so it’s no secret she has elite speed. With this swim, she now leads the world rankings in the 100 fly by more than one full second, and she’s looking like the clear-cut favorite to win the event in Kazan. We’ll have a full session recap from Sette Colli coming shortly. She’s used to swimming very fast in season but that’s still a huge performance in June. Anyway, she will break the world record soon. It’s just an anomaly she has still not swum under 56. I predict 55.49 this year or next year. 24.44 for Sjöström in the 50 free too. 21.64 for Manaudou in the 50 free. 4.05.26 for Balmy in the 400 free ahead of Carli in 4.05.49. Bobo, any videos of Sjöström’s or Manaudou’s 50? Her evolution from 2009 is evidenced in the splitting-she was out 26.94 then and 26.41 now. If she gets back down in the range of what she came back in that year (29.12), which I think she can, then Bobo’s projection could be very accurate. I say finally. It’s been annoying to see her go 56.5 over and over when she’s quite obviously has been getting better and faster overall. She can put all her focus on 100 free tomorrow so I expect sub 53 there. but, for many swimmers, full tapers make it easier to go out quicker. 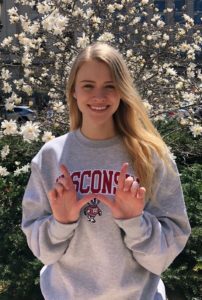 I’m guessing that with her incredible 50 fly ability (she has been under 25 more than once) plus a good taper, she will be able to go out even faster, at least a tenth faster at worlds… maybe even a 26.1. combine that with a strong back half (29 mid, probably not 29.1, but who knows?) and thats a huge world record. that leaves me with my prediction of a 55.70 this year at worlds.